Let it be said that we were on a roll last summer, with yet another quest for the best comfort food recipes, and another colourful road trip to explore the lay of the land-this time in Newfoundland and Labrador. Following the established practice of alternating our annual recipe judging event among the four Atlantic provinces, it was time to see the cliffs and barrens, the bights and guts of Western Newfoundland, and the big, expansive land of Southern Labrador. Undeterred by wind and rain, five Saltscapers took the ferry from North Sydney, NS, to Port aux Basques, NL. After a very short sleep and a hearty breakfast of fish cakes, we were off to the College of the North Atlantic, in Stephenville, where the judging of the 2008 Recipe Contest would take place later in the week. Satisfied with the venue, we headed to Corner Brook for a lunch of battered cod cheeks and tongues. 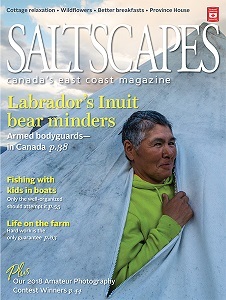 We stayed overnight in Rocky Harbour, Gros Morne National Park, where we met chef Veronica Alexander, whose family recipe for Moose and Rabbit Pie appeared in the November/December issue of Saltscapes. Then we were off to the tip of the Great Northern Peninsula, and the reconstructed Viking village at L'Anse aux Meadows National Historic Site, where the Norse landed 1,000 years ago. No. We still had a little bit of Labrador to oooh and aaah over. The St. Barbe ferry took us to Blanc Sablon; at nearby Forteau we had lunch with restaurateur Stelman Flynn, one of the recipe contest judges, then we drove to Mary's Harbour via Point Amour and Red Bay. We took a boat across the tickle to Battle Harbour, a reconstructed fishing village, where we stayed in the charming and historic Grenfell Cottage, once home to the much-loved medical missionary, Dr. Wilfred Grenfell. Exhausted from all the rousing scoffs and kitchen parties, but keeping weary eyes peeled for moose and other wildlife along the way, we retraced our route back to Stephenville for what has come to be called Judgment Day-the final judging of the recipes submitted by our readers. Eric King, chef instructor at the College of the North Atlantic, was busy preparing the 14 dishes to be judged. 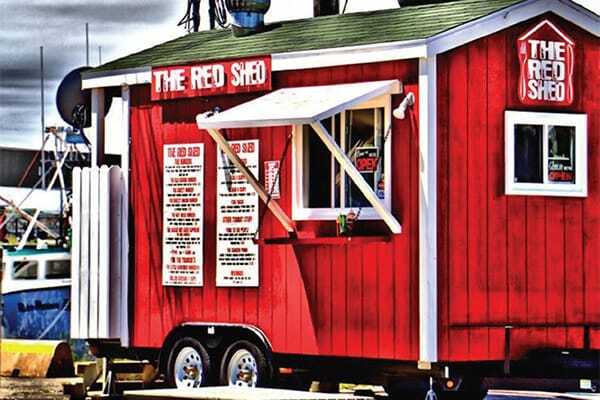 The officials were Renée Thibeau, graduate of the College of the North Atlantic and now a cook there; Stephen Lee, the college's marketing and communications manager; restaurateur Stelman Flynn, of Forteau, Labrador; and food connoisseur Mitch McLean, of Stratford, PEI. Taste was an important criterion, but just as important were comfort value, creativity and ease of preparation for the average household cook. Code numbers were used to keep the identities and locations of the submitters a secret. Can you imagine, then, our delight when one of the winners turned out to be a native of the region where the judging was held? Had we known, we might have been able to meet her. But after four hours of tasting and judging, followed by a magnificent seafood buffet prepared by Eric King, and an impromptu visit by the mayor and a few musicians, we had to head back to Port aux Basques. The next day dawned sunny and warm, finding us in line for an early departure from Newfoundland. Several hours of cribbage ensued during the pleasant voyage home to Nova Scotia. Now do you understand the lengths to which Saltscapes will go in order to provide you with the comfort food you deserve? Cravings are good. Sometimes. Mary Chisholm, of Saint John, NB, can attest to that. Several years ago, after arriving home from church with her family, she had a craving for "something different" to eat. "Not just pancakes or bacon and eggs. I wanted gourmet," she recalls. "But with four children, a brunch of that calibre was not in our budget." She searched through a couple of cookbooks for ideas, but there was always an ingredient she didn't have. With her hungry family waiting, she decided to use what was available in the fridge. That's when the grand prize winner of the 2008 Saltscapes Comfort Food Recipe Contest was created. With eggs, mushrooms, green onions, cheese, bacon and some leftover ham available, along with a couple of packages of crescent rolls to make a quick crust, Mary's Brunch Pie was ready before anyone could ask, "What's for lunch?" "It was a huge hit with my family and satisfied my own desire," says the part-time nurse, who shares an empty nest with her husband, Paschal, a retired teacher. 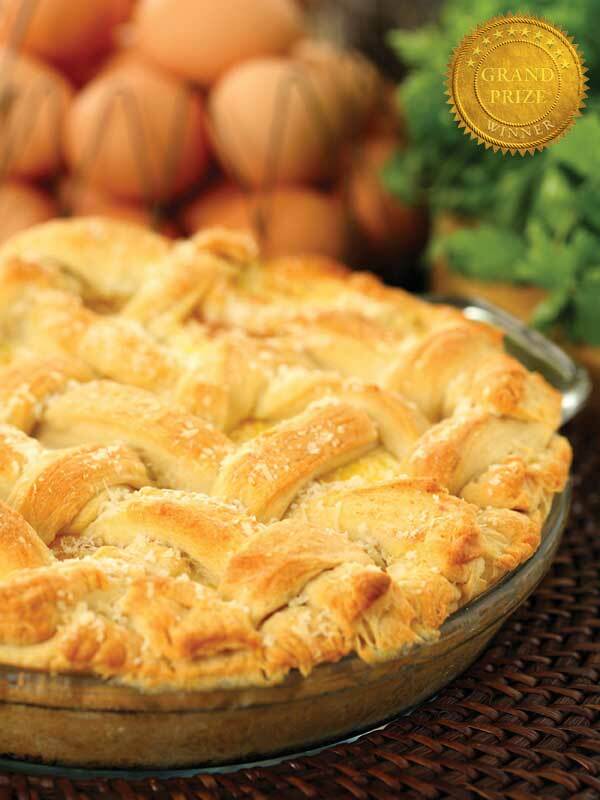 "Now, whenever there is a special gathering, my children will say, 'Mom, are you going to make your brunch pie?'" Over the years, she was constantly urged by family and friends to enter her creation in a recipe contest, until finally, she began to believe what everyone was telling her: she had a winner. All she needed was a contest with the right fit. 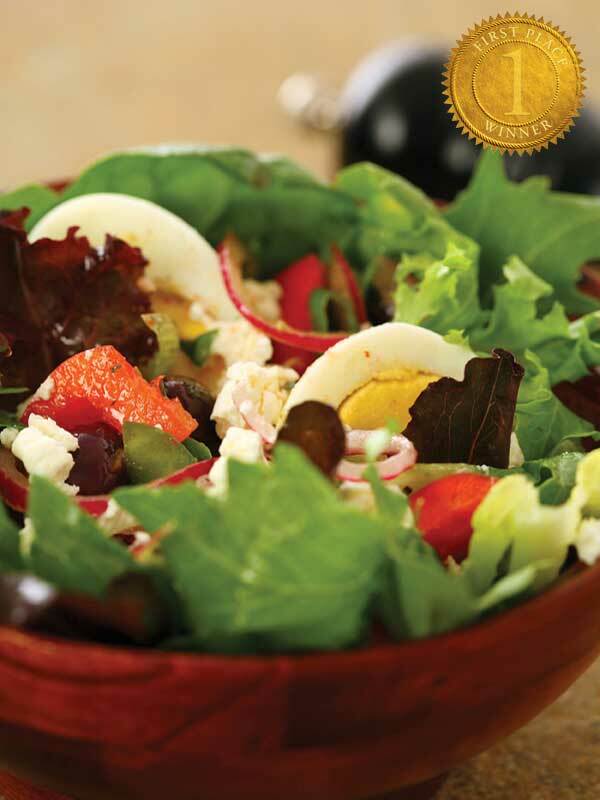 And suddenly there it was, in the pages of Saltscapes – a recipe contest with an egg category. Mary no longer hears the constant pleas to enter her recipe. Now, it's "I told you so." Maggie baker is one of those women you just have to admire. Her accomplishments are many-from a volunteer position in the field of agriculture, to currently studying to become a paralegal. She claims her greatest accomplishment has been her daughter, Jill, and grandchildren: Liam, aged 7 and Emma, aged 4. Raised in Windsor, NS, Maggie lived in Digby, NS, for 25 years where she and her husband raised red deer and elk for commercial use, and rabbits and meat chickens for their own use. There was also a substantial vegetable garden and access to raspberries, blueberries, peaches and Concord grapes. "I loved to make preserves and pickles, and often put down 300 to 400 jars a year, which I would give to my mother, sisters and brothers," she says. Maggie had another passion-horses. Her Appaloosa mare was a halter champion named Barely Real, who, in 2000, won 15 Grand Champion Awards, and earned the highest points of any mare (four years old or older) in Canada. "She had a real presence in the show ring, a real 'look at me' attitude. She was a sweet girl. I miss her dearly," Maggie says. Maggie now lives in Charlottetown, near Jill and family. "My daughter is a great cook herself... we love spending time teaching the grandkids how to make great foods, and why it is important to eat healthy," she says. 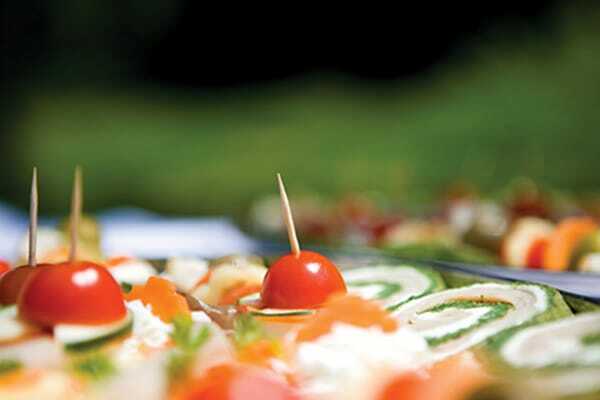 As for her prize-winning Mediterranean Salad, the children love it, but while their young palates savour both goat cheese and sardines, you might catch them picking out the red onions. It would seem that Joanne Sampson, of Bridgewater, NS, knows all there is to know about quiches and frittatas. She's been making them for years, trying out different recipes whenever she sees one that catches her imagination. But nothing beats the one she entered in the 2008 Saltscapes Recipe Contest. "I try different recipes for frittata and quiche, but I always come back to this recipe, which never fails to get a good rating," she says. Contest judges agreed. 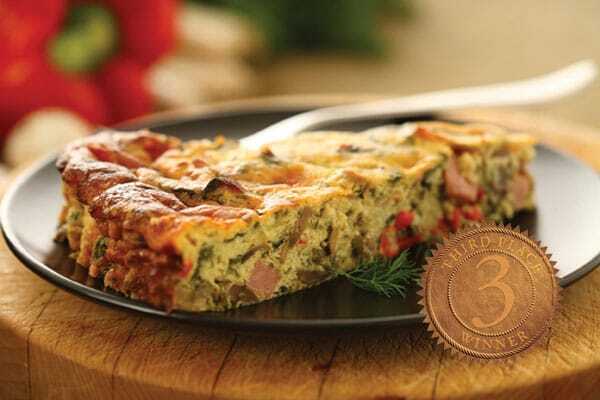 They rated Spring Frittata a close second place in the 2008 contest. Joanne found the recipe four or five years ago in Chatelaine magazine, and sometimes varies it by adding chopped ham, or making it in a pie shell. 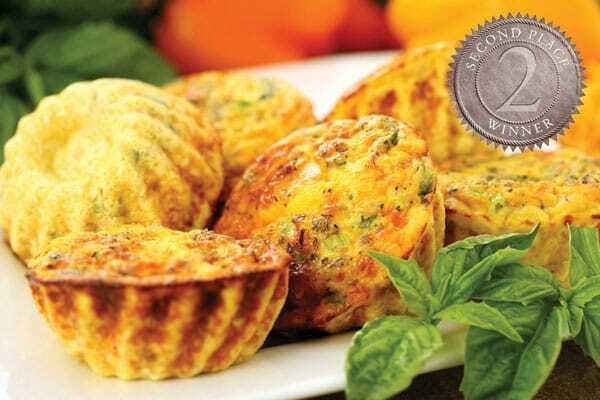 She has even baked it in individual tart shells, as a tasty appetizer. "This is good for breakfast, lunch or dinner, and it's popular at family gatherings, with bacon, sausage or ham, with home fries and toast," she says. Born in Sydney, and brought up in Three Islands, Cape Breton, where her father still lives, Joanne credits her mother with teaching her to bake and cook. "I used to watch my mother cook from recipes written in an old scribbler. Sometimes, when I was very young I would practice my ABCs in that scribbler, and they're still there," she says. Joanne has worked for the Municipality of Lunenburg for 30 years. She met her husband, Bob Stevenson, 18 years ago, and between them they have three adult children. Bob does a lot of the cooking these days. The trade-off is that when one cooks, the other cleans up. It may have been Jennifer Zuk's background in chemistry that allowed her to make several changes to a recipe that captured her interest about 30 years ago. She thinks the Gourmet magazine recipe was called Fat Harry's Cottage Cheese Pie. 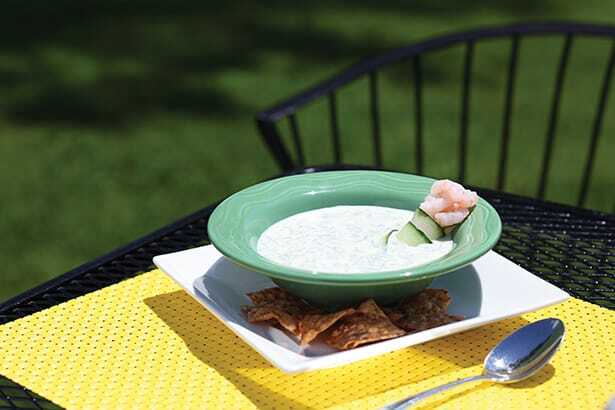 The name fascinated her, and over time she created her own version that not only became a family favourite, but a winner in the 2008 Saltscapes Recipe Contest. Married for 33 years, with two grown daughters, the Burnaby, BC, resident loves to experiment with recipes and make changes to suit her tastes. When she sees an announcement for a recipe contest, Jennifer accepts the challenge to create something new using the required ingredient. Recently, she was a finalist in Kraft's Pure Flavour Challenge, an "iron chef" type of cook-off. "We had to come up with something new on the spot using a secret ingredient. I didn't win, but it was a great experience," says Jennifer. She loves gardening-growing herbs, fruits and vegetables-as well as being a judge for dahlias, roses and in floral design. Three summers ago, she took up ocean kayaking and added aquafit exercises to her routine, giving her a new lease on life, she says. "Having never been athletic-walking being my main form of exercise-I was surprised to start losing weight and developing muscles I never knew I had." Jennifer, who works part-time in a high school setting up science labs for teachers, has family connections to the East Coast. "My parents were Maritimers and in my youth I spent every summer visiting relatives in New Brunswick and Nova Scotia. I still go back to visit my sister and father who live in the Annapolis Valley." Of her winning recipe, she says you can use the whole package of frozen spinach, but the spinach flavour will predominate. The pie freezes well when cooked. "It's a comfort knowing that I have an instant, nutritious, homemade dinner in the freezer, ready for when I want it," she says. Veronica MacDonald is one of the friendliest people I have never met. We talked on the phone about her Blueberry Crumble Pie, which captured first prize in the 2008 Saltscapes Recipe Contest. Having created the dessert herself, she keeps copies of the recipe handy to give to those who ask for it. "Everybody loves it," she says-not that she needs to convince me. Veronica, known to friends as Ronnie, loves to cook and share what comes from the two ovens in her big kitchen, where dozens of people can-and often do-congregate. The expression, "Drop over some time," could be considered her philosophy of life. "When I designed the house we live in now, I made the parlour small, the dining room large and the kitchen/family room very large," she says. One of seven siblings, Veronica grew up on a farm near Aylesford, NS, and met her husband Cliff, from PEI, when he served with the RCMP in nearby Kentville. Even with their three children grown and scattered, there's never a shortage of people to feed. Her bridge club, neighbours, friends, church people, and some of her 50 cousins have, from time to time, helped to fill the 20 or more chairs around her table, or stomped their feet at the kitchen parties she and Cliff host at the drop of a hat. Personable and chatty, the former Apple Blossom Festival princess and high school queen (along with other titles she demurely dodged) has a heart as big as her kitchen. "The bridge club usually eats potluck when we play, but when they come to my house I always do the baking. Why should eight people have to work when I can do it all?" she says. A real estate agent for close to 30 years, Veronica always takes a meal to her clients the day they move in. "You should see my grocery bills," she says, laughing. Cliff's 40 years with the RCMP has taken them to many Canadian postings, including the Yukon, Northwest Territories, and finally to Surrey, in 1989. During their time "up north," Veronica adapted her down-home recipes to accommodate game and other wild foods. And she knows her prize-winning pie will be just as delicious when made with the blueberries she fondly remembers from home. 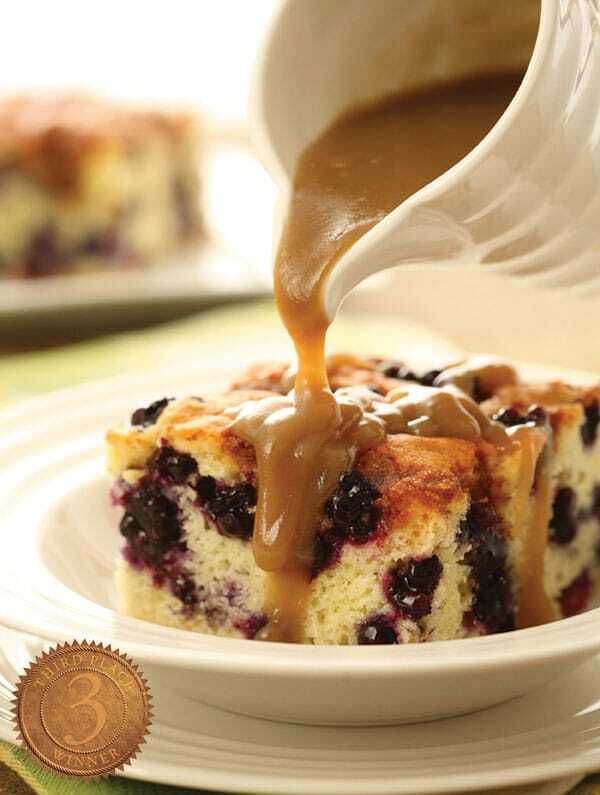 When Barbara Young of Barachois Brook, NL, "stole" the recipe for Blueberry Bread Pudding from her friend Linda Poitras of Quebec, she had no intention of entering it in a recipe contest. She just loved the taste of this dessert, which she usually serves warm with ice cream. 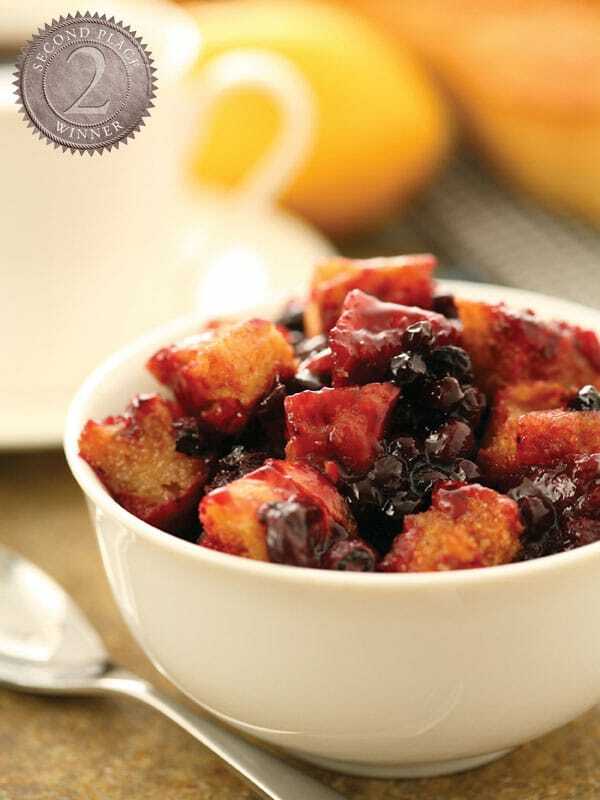 But when she saw the blueberry category in the 2008 Saltscapes Recipe Contest, she couldn't resist. She sent it off. And it captured second prize. On learning of the win, she immediately shared the news with her friend, who was thrilled--and bore no grudges. Barbara, who claims her Prince Charming "never showed up," lives with her parents when she isn't away at work. As a bilingual assistant steward on the Marine Atlantic ferries, she has plenty of time to cook at home on her two-weeks-on, two-weeks-off schedule. One of six children, Barbara was born in Newfoundland but spent much of her childhood years in Schefferville, Northern Quebec, where her father was employed at a hunting/fishing camp in the summer and worked as a foreman with the Iron Ore Company of Canada in the winter. When she was old enough, she too worked at the mine, as a clerk, going down into the open pit with all the other miners. She loved the people in this isolated town, whom she called "my big happy family." When the mine closed in 1982, she stayed on for 17 years with Air Schefferville, which provides the only transportation to and from the outside world. She still likes to attend the reunions that bring together up to 600 former residents annually. Back home in Barachois Brook since 1995, Barbara enjoys cooking with her niece Dakota, 14, and nephew Ty, 8. And when the berries are ripe, she's out there picking them-the blueberries, bakeapples and cranberries, so prized by Newfoundlanders and Labradorians. Blueberries are one of her favourite foods. The day we talked, she had made blueberry pancakes for breakfast, and her mother was finishing a blueberry cheesecake for supper. How true blue can one be? During her childhood years, Pat Ripley, of Shelburne, NS, had an excellent teacher, especially when it came to cooking and baking. Her mother, Jessie Benoit, raised 14 children in Antigonish, NS. As the second oldest in the family, Pat learned early from her mother how to feed a multitude. These were lessons she never forgot. "My mom is a fantastic cook, and still (at age 80) makes all her own preserves, so I have to credit her with any cooking talents I may have," Pat says. A former guide for the Shelburne Museum Complex, Pat combined her interest in history with her love of cooking. In 2004, she compiled a cookbook, Dock Street Flavours, which she describes as a collection of locally contributed and 18th century recipes. With her husband, Bill, now retired after 36 years with Scotiabank, and their three "wonderful" sons all grown up, Pat decided to give up the administrative job she held for 14 years. Now, she and Bill spend their time curling, sailing and doing volunteer work. 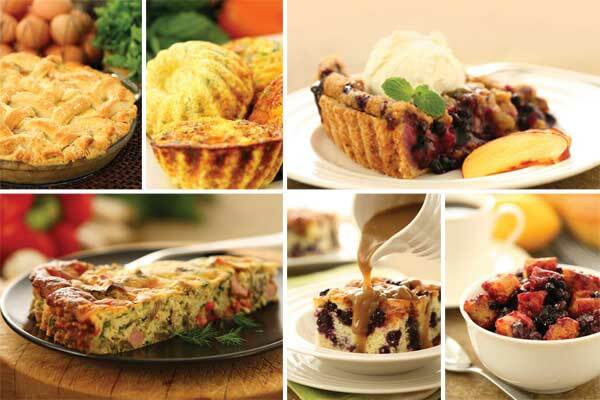 There's also lots of time for cooking-particularly desserts. Although she often cooks for bake sales and community suppers, she had never before entered a recipe contest. 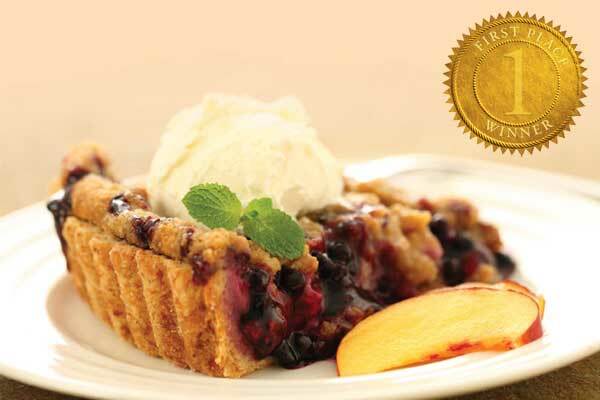 But when she saw the category for blueberry desserts in the 2008 Saltscapes Recipe Contest, she couldn't resist. Blueberries are part of her family. Bill's father was a blueberry grower in Cumberland County, NS, and the harvest continues under brother Freddie and sister-in-law Sandy. The cake in Pat's prize-winning recipe is traditional, but she made it her own by adding the topping and the sauce, which her young sons used to call "the blueberry cake with the gravy." Some good!